Upper elementary students helped choose the exciting climbers, overheads and spinners on this free-flowing deckless design. 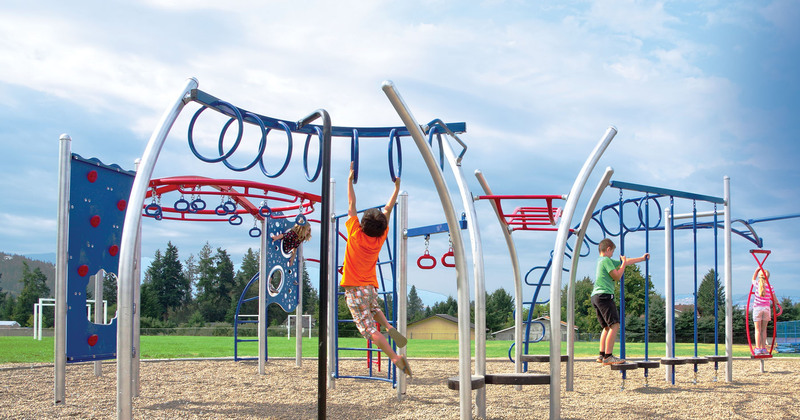 Geared for older kids, this structure offers challenge and fun for muscles and minds. Transparent design makes it easier to supervise the play.